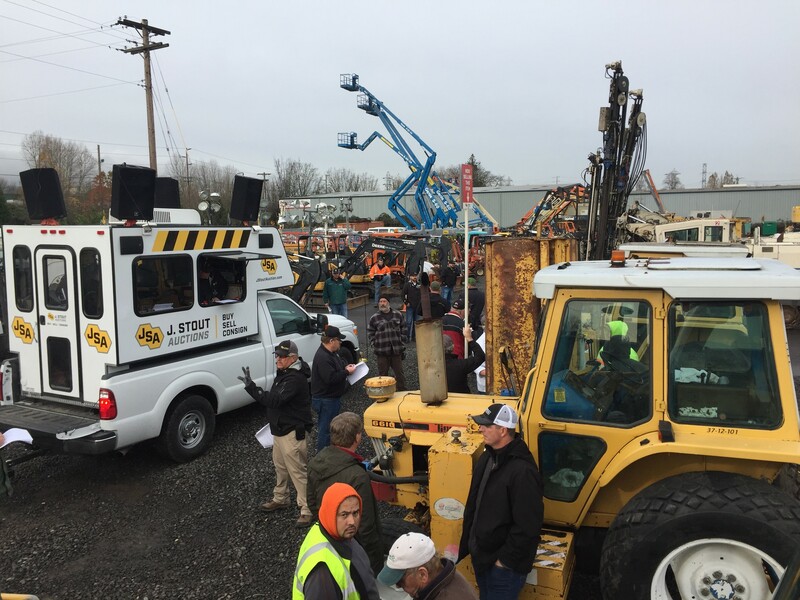 At its last auction of 2018, J. Stout Auctions gave bidders 20 excavators, 10 dozers, eight cranes and more packed into one yard. 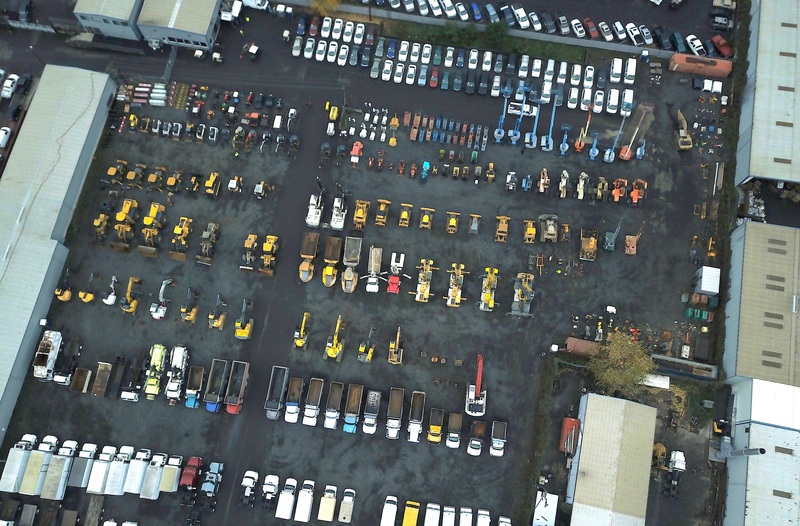 All 600 pieces of new and used heavy equipment, commercial trucks and government fleet vehicles sold Dec. 12, 2018, for local, national and worldwide use. 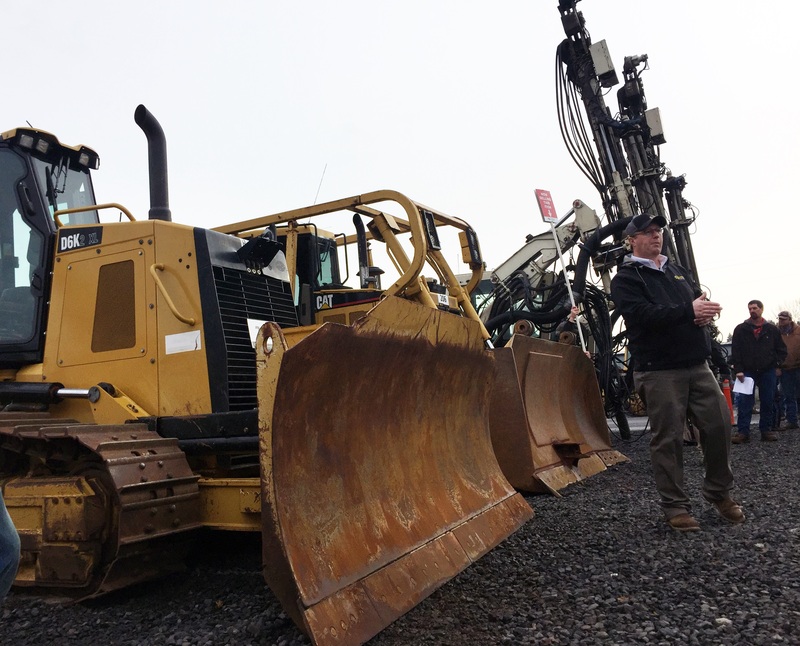 More than 1,000 people from 36 states came to the site in person or participated online. Bidders across the world also took part, registering to bid from nine different countries including Ireland, Australia and Haiti. 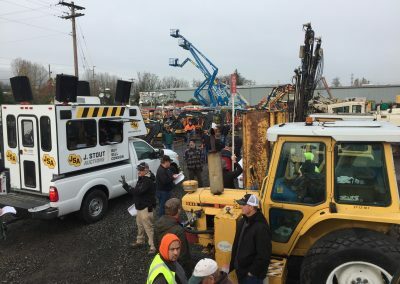 The auction was held in Portland, Ore., at 9635 N. Columbia Blvd., where J. Stout Auctions got its start, holding four live public auctions per year. 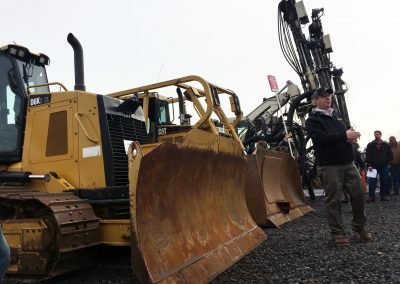 The Oregon-based company also will be hosting its next quarterly auction at that location on March 13. 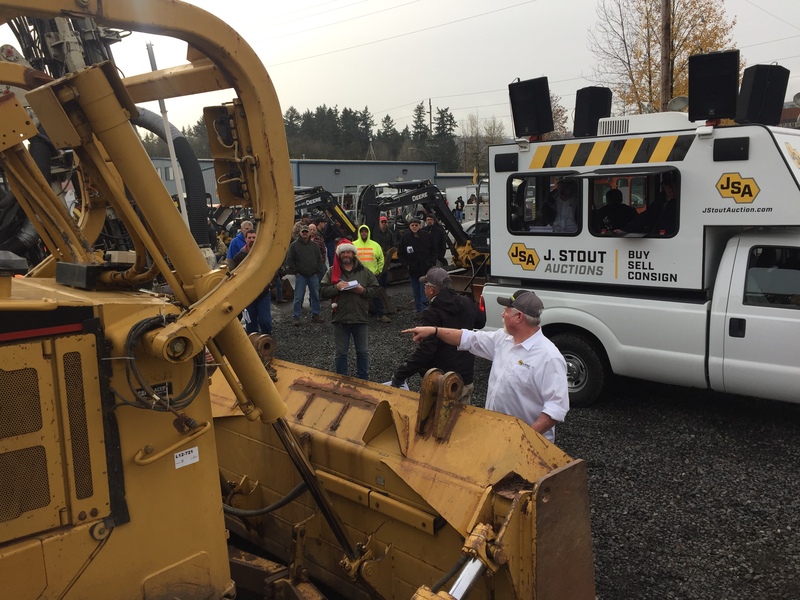 Coming this year, J. Stout Auctions will make big changes to the company to bring more convenience for bidders. Be the first to know JSA’s next move by following us on Facebook, Instagram or LinkedIn. 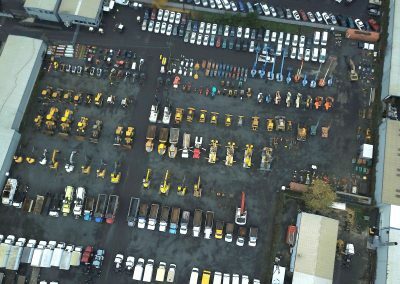 You can also find more information about the company or about consigning by heading to: jstoutauction.com or call (888) 230-8840. 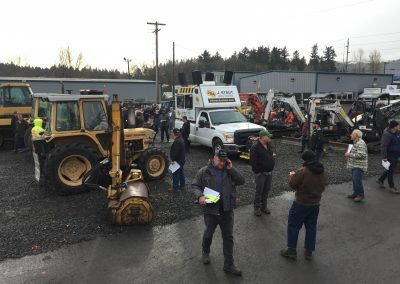 J. Stout Auctions’ Portland sale brought in more than 320 people from 36 states to bid on hundreds of heavy equipment and commercial truck lots. 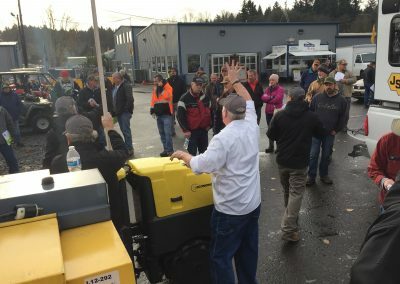 Not only did more than 320 people attend the auction in person, nearly 440 others registered to bid online. The Portland auction brought in more than 600 pieces of equipment for the bidders to win and take back to their job sites, like these Furukawa HCR1500-ED crawler rock drills. 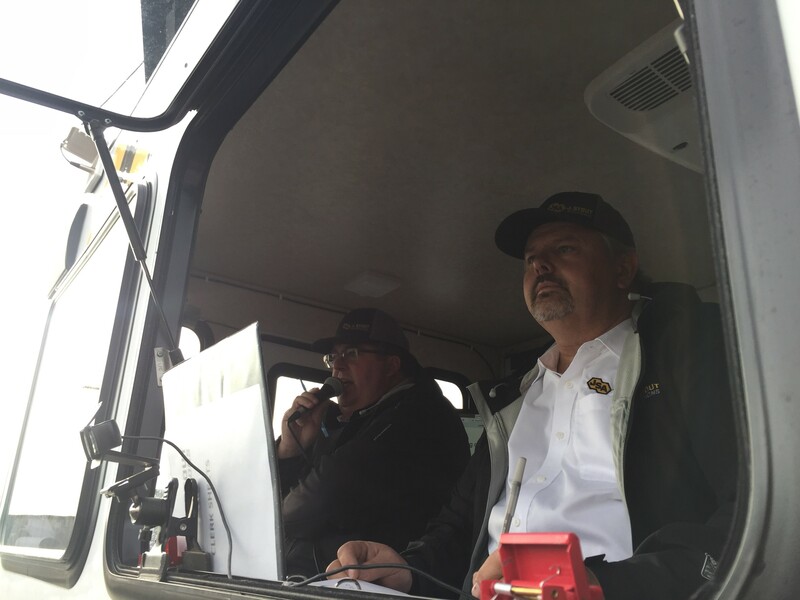 Auctioneer Randy Grudzinski calls the sale while Neil Gardner, general manager, keeps track of the winning bids. 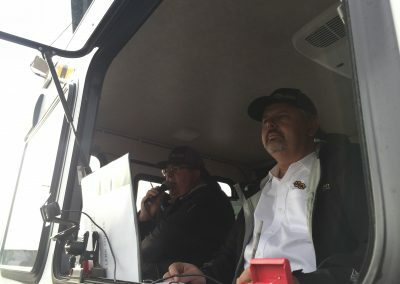 Ringman Dan Goss keeps track of who is bidding on the Cat D6R XL Series III crawler dozer at an auction in Spokane, Wash.
A variety of yellow iron, commercial trucks and passenger vehicles are consigned at each auction, even some agricultural pieces. Sign up to receive the latest live auction information delivered directly to your inbox! 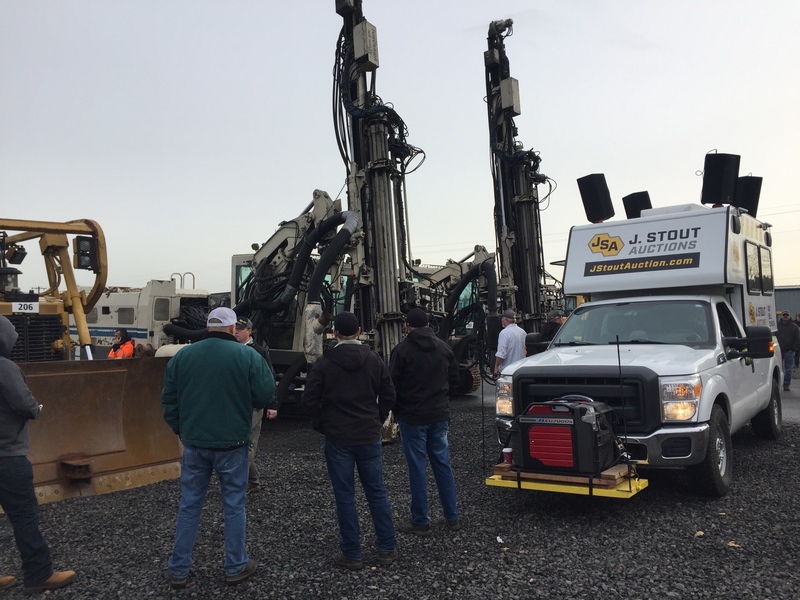 Thank you for joining J. Stout Auctions' Email List! 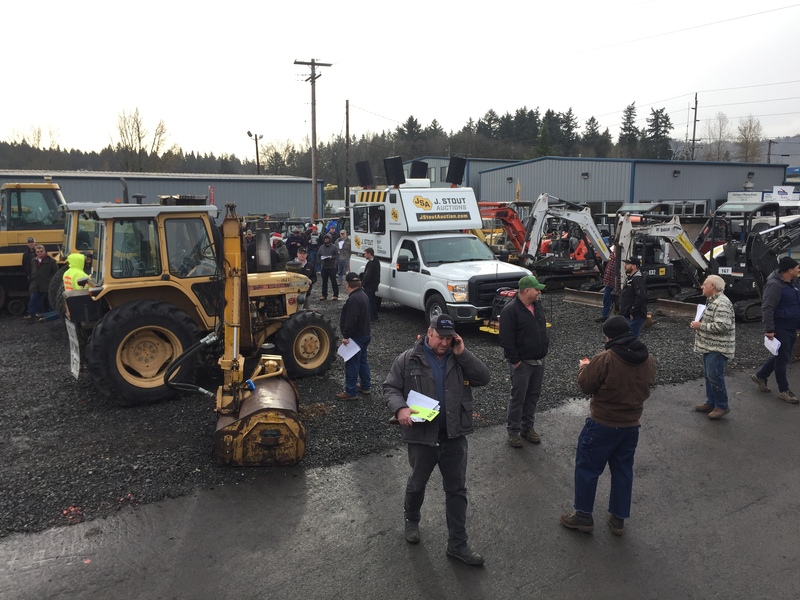 You'll now be updated with the latest auction dates and equipment available. 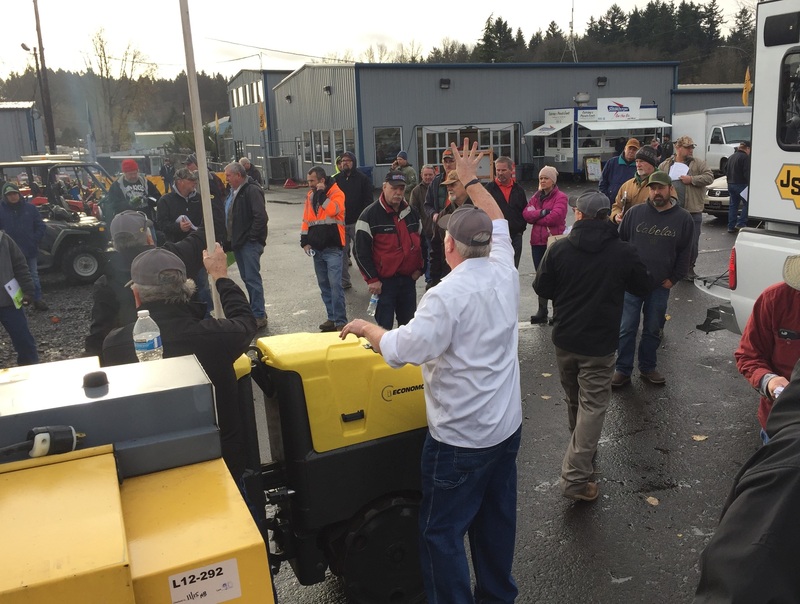 See you at our next auction!